Thanks to Wakana Okita and Keisuke Takashima phyphox now speaks Japanese. More information about our voluntary translators can be found on our languages page. 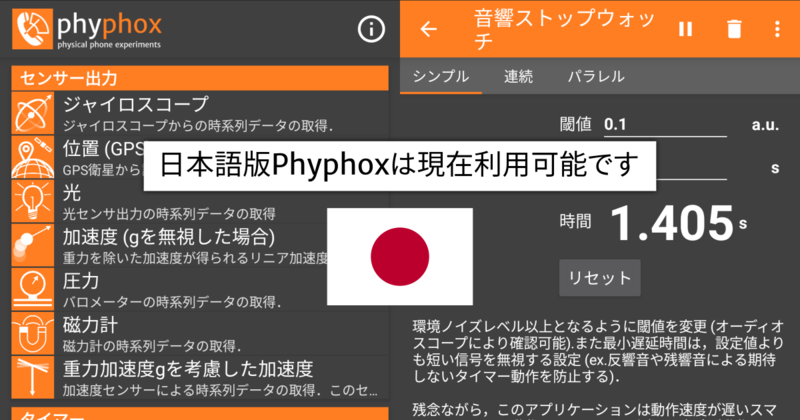 Fix: The experiment “light” was not available if the list of preferred languages in Android did not support any language supported by phyphox.